« Day 80 in Beijing: The Great Wall of China at Mutianyu, Part 3. 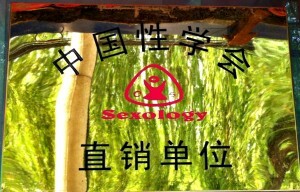 Day 81 in Beijing: Sexology. Sexology. Not a song by Prince. When I first saw this sign, I started to laugh out loud. I then went full Google-Boy and did some research. Suffice to say, I was taught about Sexology very quickly. Sexology, according to Wikipedia, is actually a scientific study of human sexual behavior. It uses research from many academic fields and then works to combine, and understand, sexual behavior in humans. As a psychotherapist, I find this intriguing. I find that my biases and ideals are just that: Mine. I have to be open-minded and willing to accept that my way of thinking is limited and that my assumptions only fail to help me adapt and move towards a more free way of thinking about others and myself. I believe this is one of the main reasons I became a cognitive behavioral therapist. In Cognitive behavioral therapy, there is no assumption of a “right” way of doing things. Every choice has consequences and, as we know, every action has an equal and opposite reaction. I would add that every action has many differing reactions that we often have trouble estimating. Any change, or any choice to not change, has consequences that make it worthwhile to examine. Doing a list of what these changes might be tends to help slow down the reaction and the need for immediate emotional outbursts. It is not always enjoyable to admit that your choices have actually caused all the problems that you are upset up about, but it is often quite freeing. I believe this, and belief is not fact, because I use Cognitive Behavioral Therapy when I need to figure things out and see what would be the most beneficial and productive choice for me. Sometime it comes out that my original choice was the right one but there are often mitigating circumstances that I wouldn’t have noticed or been able to plan for if I had just rushed into my decision. By being able to slow down, write it down, and figure out the consequences, I have a much better chance of learning and being able to master the issue ahead of me. As with Sexology, when I first notice something and jump to conclusions, the more I think I know, the less I do.